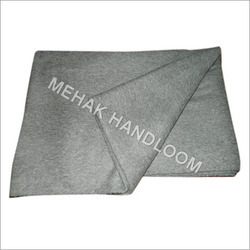 Prominent & Leading Manufacturer from Panipat, we offer institutional blanket. We are the prime manufacturers, exporters and suppliers of a premium quality gathering of Institutional Blanket. This blanket is sewed by our talented designers using quality material that makes our blanket hotter for winter and accordingly it is the most favored decision of clients'. Our offered blanket is sewed with advanced machine that guarantees life span and flawless sewing. Further, this blanket has different peculiarities like colorfastness, diverse shades and rich design. Looking for Institutional Blanket ?